The Origins - It remains debated how Australia was initially populated and how changes in language and culture in the continent happened. Australia contains some of the oldest archaeological evidence of modern humans outside Africa dating back to about 50,000 years, which has been interpreted by some researchers as evidence of the existence of multiple diasporas outside the African continent. Still about 90% of Aboriginal Australians speak languages belonging to a single linguistic family that dates back no more than a few thousand years. The first population genomic study on Aboriginal Australians published in this week’s Nature provide some of the answers. An international team of scientists have, in collaboration with Aboriginal Australian co-authors, sequenced 83 modern Aboriginal Australian and 25 modern Papuan genomes – the Australians’ northern neighbours – covering most of the Australian continent and the New Guinea Highlands. The new data reveals a number of interesting findings. On the grand scale and going as far back in time as to shortly after modern humans migrated out of Africa the DNA-sequences show that together the Aboriginal Australians and Papuans split from Europeans and Asians about 58,000 years ago. Approximately 8,000 years later, at the time when the first people arrived in Sahul (the New Guinean/Australian continent), the size of the population decreased. Aboriginal Australians and Papuans later diverged c. 37,000 years ago, long before the physical separation of Australia and New Guinea, some 10,000 years ago. These people, coming from mainland Asia and travelling into Australia, were the ancestors of most if not all modern day Australians. Subsequently, the ancestral Australian population differentiated c. 31,000 years ago into subgroups with the formation of the central desert likely acting as a barrier to migrations. “Initially this difference in ages between the genetic results and the linguistic understanding was puzzling. We first thought that the languages had to be much older than previously hypothesized. But then we found evidence for a population increase and expansion from northeastern Australia to the rest of the continent around 10,000 years ago. Likely, this migration is what brought linguistic and cultural changes with it. What is strange though is the limited genetic impact these migrating peoples had on the groups they meet while their cultural and linguistic impact was massive. We have never seen anything like this before. It is like a few immigrants who changed the way people spoke and thought - just to disappear again like ghosts”. 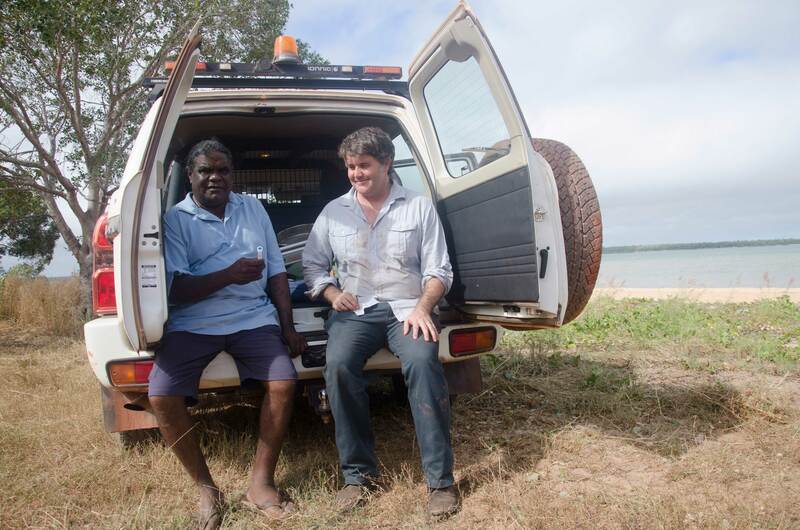 The CNAG reseacher Òscar Lao, leader of the Population Genomics team, is first co-author of this work and contributed to the study analysing and interpreting the sub-populations of Aboriginal Australians. “The analysis of these data has been very complex because most individuals have a strong and recent European and East Asian component (in some cases, 80% of the genome of an individual who is self-described as an Aboriginal Australian is European), which interferes with any analysis that attempts to clarify what happened before the arrival of Europeans. Reducing or eliminating this genome component has been very difficult and has limited the number of samples we could use. The debate over whether anatomically modern humans left the African continent in one or several waves is very intense in this Nature edition. The authors found that Australians are mostly the result of a single wave out of Africa, in line with a study appearing in the same issue of Nature and led by Harvard Professor David Reich. This does not exclude more complex scenarios where for example earlier waves of anatomically modern humans would have contributed very little to the modern Australian and Papuan’ genomic landscape. This latter scenario is put forward by another paper in the same issue of Nature.